SNSD Yoona and actor Hyun Bin in traditional Hanbok costume for Lotte Department Store 2014 Lunar New Year promotion ad. Click image for full size (1200×1600). 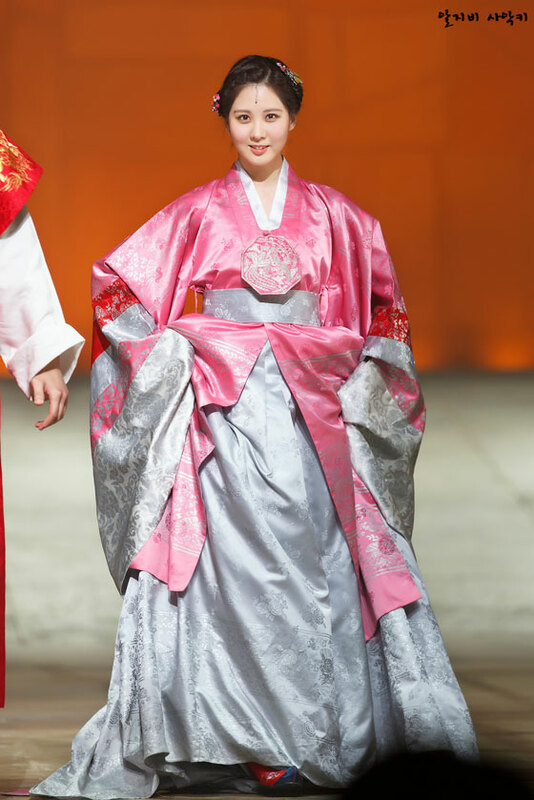 SNSD maknae in Moon Embracing The Sun Musical (based on popular Korean drama of the same title) on January 20-21. Click pics for full res (~1000×1500). Girls’ Generation’s Tiffany, Sooyoung, Seohyun and Yuri have uploaded selca wearing traditional Hanbok dresses to celebrate Chuseok (thanksgiving equivalent), one of Korea’s biggest festivals which falls on September 19 this year. Updated with pictures from Hyoyeon and Sunny too. 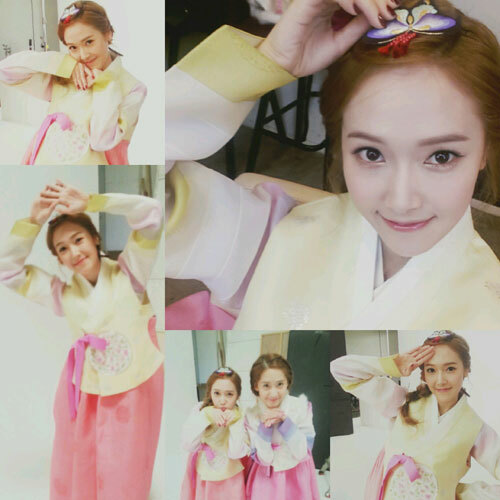 Jessica posted a Lunar New Year blessing to the fans along with her cute Hanbok selcas (+Yoona cameo). Happy New Year, and Happy Birthday to Sooyoung! 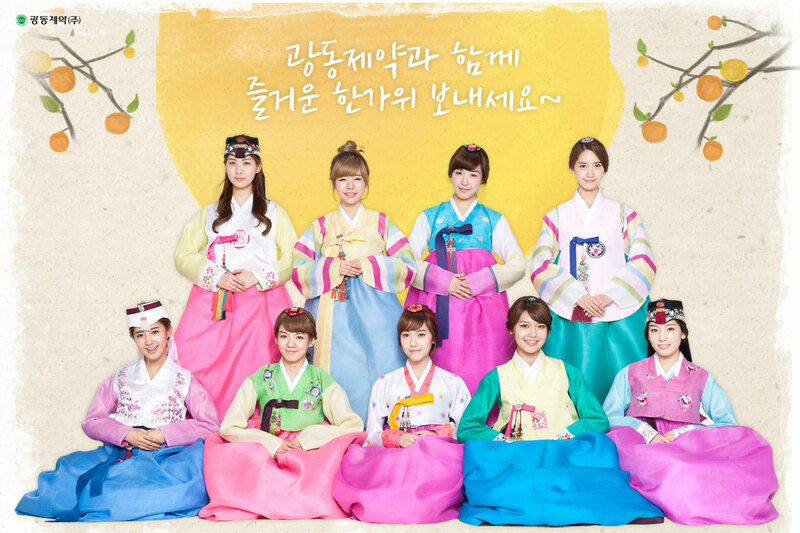 SNSD in traditional Hanbok in celebration of the Chuseok Festival. Vita500 is recycling an old pic again. Click image for full size (1200×800).